Possession Bay Beach - Leica SL, 90mm, f/6.3, 1/1000s, ISO 400. 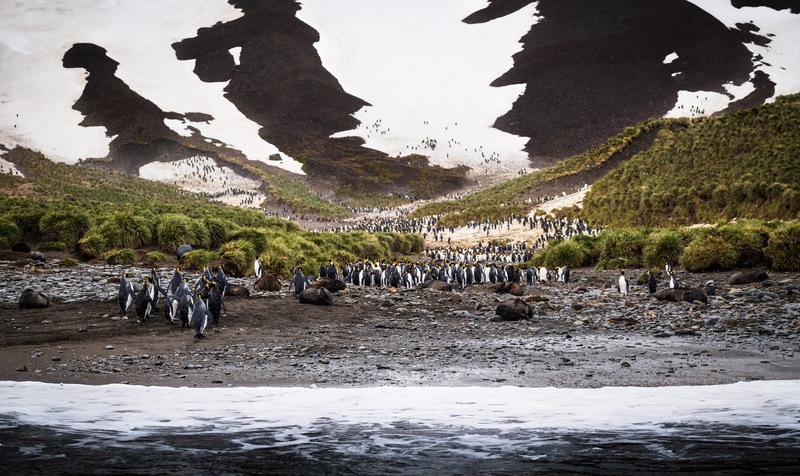 A group pf King Penguins just arrived on this beach at Possession Bay, South Georgia Island. It started snowing lightly during that zodiac ride which was a nice experience but we were unable to make a landing due to fur seals.